Meet Ruby—a small girl with a huge imagination. In Ruby’s world, anything is possible if you set your mind to it. 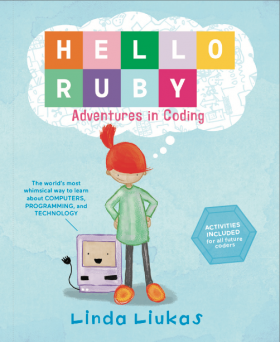 As Ruby embarks on her adventure, kids will be introduced through storytelling to the basic concepts of coding and programming. With activities included in every chapter, future kid coders will be thrilled to put their own imaginations to work.